All publications listed have been subject to peer review (except as noted) and are listed in the order in which they were submitted. Click the journal title to view the full text (institutional access rights permitting). Asterisks indicate KDH was a principal or group author of the manuscript. *K. D. Hammond, I. V. Naeger, W. Widanagamaachchi, L.-T. Lo, D. Maroudas, and B. D. Wirth. “Flux Effects on Helium Bubble Growth and Surface Morphology in Plasma-Facing Tungsten from Large-Scale Molecular Dynamics Simulations.” Nuclear Fusion (accepted). *A. M. Mofrad, C. Peixoto, J. Blumeyer, J. Liu, H. K. Hunt, and K. D. Hammond. “Vibrational Spectroscopy of Sodalite: Theory and Experiments.” Journal of Physical Chemistry C 122 (43): 24765–24779 (2018). *Yang, Z. and K. D. Hammond. “Helium In-Plane Migration Behavior on 〈100〉 Symmetric Tilt Grain Boundaries in Tungsten.” Journal of Physics: Condensed Matter 30 (32): 325002 (2018). *A. A. Saltos, N. J. Peters, and K. D. Hammond. “Thermal Neutron Scattering Cross Sections of 238U and 235U in the γ Phase.” Journal of Physics: Condensed Matter 30 (41): 415401 (2018). *Yang, Z., L. Hu, D. Maroudas, and K. D. Hammond. “Helium Segregation and Transport Behavior Near 〈100〉 and 〈110〉 Symmetric Tilt Grain Boundaries in Tungsten.” Journal of Applied Physics 123 (22): 225104 (2018). *Iasir, A. R. M., N. J. Peters, and K. D. Hammond. “Estimation of the Effective Thermal Conductivity in U-10Mo Fuels with Distributed Xenon Gas Bubbles.” Journal of Nuclear Materials 508: 159–167 (2018). *Saltos, A. A., N. J. Peters, and K. D. Hammond. “Thermal Neutron Scattering Cross Sections of Molybdenum Isotopes.” Transactions of the American Nuclear Society 1558 (2018). *Guo, J. and K. D. Hammond. “A Potential for the Simulation of Siliceous Zeolites Fit to the Infrared Spectra of Silica Polymorphs.” Journal of Physical Chemistry C 122 (21): 11345–11354 (2018). *Guo, J. and K. D. Hammond. “A Comparison of Siliceous Zeolite Potentials from the Perspective of Infrared Spectroscopy.” Journal of Physical Chemistry C 122 (11): 6093–6102 (2018). *Hackett, C. and K. D. Hammond. “Simulating the Effect of the Quadrupole Moment on the Adsorption of Nitrogen in Siliceous Zeolites.” Microporous and Mesoporous Materials 263: 231–235 (2018). *Hammond, K. D., S. Blondel, L. Hu, D. Maroudas, and B. D. Wirth. “Large-Scale Atomistic Simulations of Low-Energy Helium Implantation into Tungsten Single Crystals.” Acta Materialia 144: 561–578 (2018). Blondel, S., K. D. Hammond, L. Hu, D. Maroudas, and B. D. Wirth. “Modeling Helium Segregation to the Surfaces of Plasma-Exposed Tungsten as a Function of Temperature and Surface Orientation.” Fusion Science and Technology 71 (1): 22–35 (2017). Yang, Z., S. Blondel, K. D. Hammond, and B. D. Wirth. “Kinetic Monte Carlo Simulations of Helium Cluster Nucleation in Tungsten with Pre-Existing Vacancies.” Fusion Science and Technology 71 (1): 60–74 (2017). *Hammond, K.D., F. Ferroni, and B. D. Wirth. “Simulation of Helium Behavior Near Sub-Surface Prismatic Dislocation Loops in Tungsten.” Fusion Science and Technology 71 (1): 22–35 (2017). Blondel, S., D. E. Bernholdt, K. D. Hammond, L. Hu, D. Maroudas, and B. D. Wirth. “Benchmarks and Tests of a Multidimensional Cluster Dynamics Model of Helium Implantation in Tungsten.” Fusion Science and Technology 71 (1): 84–92 (2017). Hu, L., K. D. Hammond, B. D. Wirth, and D. Maroudas. “Dynamics of Small Mobile Helium Clusters Near a Symmetric Tilt Grain Boundary of Plasma-Exposed Tungsten.” Fusion Science and Technology 71 (1): 36–51 (2017). Backman, M., K. D. Hammond, F. Sefta, and B. D. Wirth. “Atomistic Simulations of Tungsten Surface Evolution Under Low-Energy Neon Implantation.” Nuclear Fusion 56: 046008 (2016). Maroudas, D., S. Blondel, L. Hu, K. D. Hammond, and B. D. Wirth. “Helium Segregation on Surfaces of Plasma-Exposed Tungsten.” Journal of Physics: Condensed Matter 28: 064004 (2016), special issue on segregation. Hu, L., K. D. Hammond, B. D. Wirth, and D. Maroudas. “Molecular-Dynamics Analysis of Mobile Helium Cluster Reactions Near Surfaces of Plasma-Exposed Tungsten.” Journal of Applied Physics 118: 163301 (2015). *Hammond, K. D., L. Hu, D. Maroudas, and B. D. Wirth. “Helium Impurity Transport on Grain Boundaries: Enhanced or Inhibited?” Europhysics Letters 110: 52002 (2015). *Ferroni, F., K. D. Hammond, and B. D. Wirth. “Sputtering Yields of Pure and Helium-Implanted Tungsten Under Fusion-Relevant Conditions Calculated Using Molecular Dynamics.” Journal of Nuclear Materials 458: 419–424 (2015). *Widanagamaachchi, W., K. D. Hammond, L.-T. Lo, B. D. Wirth, F. Samsel, C. Sewell, J. Ahrens, and V. Pascucci. “Visualization and Analysis of Large-Scale Atomistic Simulations of Plasma–Surface Interactions.” In Eurographics Conference on Visualization (EuroVis); Bertini, E., J. Kennedy, and E. Puppo, editors. The Eurographics Association (2015). Wirth, B. D., K. D. Hammond, S. I. Krasheninnikov, and D. Maroudas. “Challenges and Opportunities of Modeling Plasma Surface Interactions in Tungsten Using High Performance Computing.” Journal of Nuclear Materials 463: 30–38 (2015). Kolasinski, R. D., K. D. Hammond, J. A. Whaley, D. A. Buchenauer, and B. D. Wirth. “Analysis of Hydrogen Adsorption and Surface Binding Configuration on Tungsten Using Direct Recoil Spectroscopy.” Journal of Nuclear Materials, 463: 1053–1056 (2015). *Cusentino, M. A., K. D. Hammond, F. Sefta, N. Juslin, and B. D. Wirth. “A Comparison of Interatomic Potentials for Modeling Tungsten–Hydrogen–Helium Plasma–Surface Interactions.” Journal of Nuclear Materials, 463: 347–350 (2015). *Hammond, K. D., and B. D. Wirth. “Crystal Orientation Effects on Helium Ion Depth Distributions and Adatom Formation Processes in Plasma-Facing Tungsten.” Journal of Applied Physics 116: 143301 (2014). *Hu, L., K. D. Hammond, B. D. Wirth, and D. Maroudas. “Interactions of Mobile Helium Clusters with Surfaces and Grain Boundaries of Plasma-Exposed Tungsten.” Journal of Applied Physics 115: 173512 (2014). *Hu, L., K. D. Hammond, B. D. Wirth, and D. Maroudas. “Dynamics of Small Mobile Helium Clusters Near Tungsten Surfaces.” Surface Science 626: 21–25 (2014). *Hammond, K. D. and W. C. Conner. “Analysis of Catalyst Surface Structure by Physical Sorption.” In Advances in Catalysis; Gates, B. C. and F. C. Jentoft, Eds. Amsterdam: Elsevier, 2013, Vol. 56, Ch. 1, pp 1–101. *Sefta, F., K. D. Hammond, N. Juslin, and B. D. Wirth. “Tungsten Surface Evolution by Helium Bubble Nucleation, Growth, and Rupture.” Nuclear Fusion 53 (7): 073015 (2013). Sefta, F., N. Juslin, K. D. Hammond, and B. D. Wirth. “Molecular Dynamics Simulations on the Effect of Sub-Surface Helium Bubbles on the Sputtering Yield of Tungsten.” Journal of Nuclear Materials 438: S493–S496 (2013). *Hammond, K. D., H.-J. Lee-Voigt, L. A. Marus, N. Juslin, and B. D. Wirth. “Simple Pairwise Interactions for Hybrid Monte Carlo–Molecular Dynamics Simulations in Titania/Yttria-Doped BCC Iron.” Journal of Physics: Condensed Matter 25 (5): 055402 (2013). *Conner, W. C., K. D. Hammond, and R. L. Laurence. “A Moveable Feast—A Progressive Approach to the Unit Operations Laboratory.” Chemical Engineering Education 45 (3): 193–202 (summer 2011). Jae, J., G. A. Tompsett, A. J. Foster, K. D. Hammond, S. M. Auerbach, W. C. Conner, R. F. Lobo, and G. W. Huber. “Investigation Into the Shape Selectivity of Zeolite Catalysts for Biomass Conversion.” Journal of Catalysis 279 (2): 257–268 (2011). Shen, W., G. A. Tompsett, K. D. Hammond, R. Xing, F. Dogan, C. P. Grey, W. C. Conner, S. M. Auerbach, and G. W. Huber. “Liquid Phase Aldol Condensation Reaction over MgO-ZrO2 and Shape-Selective Amine-Substituted NaY.” Applied Catalysis A: General 392 (1–2): 57–68 (2011). *Hammond, K. D. Quantifying Defects in Zeolites and Zeolite Membranes. Ph.D. Dissertation, University of Massachusetts Amherst, 2010. *Hammond, K. D. and S. M. Auerbach. “Modeling the Structure and Spectroscopy of Alkaline Zeolites.” In Silica and Silicates in Modern Catalysis, I. Halasz, Ed. Kerala: Research Signpost, 2010. Chapter 2, pp 29–47. ISBN: 978-8-17-895455-4. *Hammond, K. D., M. Gharibeh, G. A. Tompsett, F. Dogan, S. M. Auerbach, C. P. Grey, and W. C. Conner. “Optimizing the Synthesis of Nitrogen Substituted Zeolites.” Chemistry of Materials 22 (1): 130–142 (2010). *Dogan, F., K. D. Hammond, G. A. Tompsett, W. C. Conner, S. M. Auerbach, and C. P. Grey. “Searching for Microporous, Strongly Basic Catalysts: Experimental and Calculated 29Si NMR Spectra of Heavily Nitrogen-Doped Y~Zeolites.” Journal of the American Chemical Society 131 (31): 11062–11079 (2009). Hummelshøj, J. S., D. D. Landis, J. Voss, T. Jiang, A. Tekin, N. Bork, M. Dulak, J. J. Mortensen, L. Adamska, J. Andersin, J. Baran, G. D. Barmparis, F. Bell, A. L. Bezanilla, J. Bjork, M. E. Björketun, F. Bleken, F. Buchter, M. Bürkle, P. D. Burton, B. Buus, A. Calborean, F. Calle-Vallejo, S. Casolo, B. Chandler, D. H. Chi, I. Czekaj, S. Datta, A. Datye, A. DeLaRiva, V. Despoja, S. Dobrin, M. Engelund, L. Ferrighi, P. Frondelius, Q. Fu, A. Fuentes, J. Fürst, A. García-Fuente, J. Gavnholt, R. Goeke, S. Gudmundsdottir, K. D. Hammond, H. A. Hansen, D. Hibbitts, J. G. Howalt, S. L. Hruby, A. Huth, L. Isaeva, J. Jelic, I. J. T. Jensen, E. H. Junior, K. Kacprzak, A. Kelkkanen, D. Kelsey, D. S. Kesanakurthi, J. Kleis, P. J. Klüpfel, I. Konstantinov, R. Korytar, P. Koskinen, C. Krishna, E. Kunkes, A. H. Larsen, J. M. G. Lastra, H. Lin, O. Lopez-Acevedo, M. Mantega, J. I. Martínez, I. N. Mesa, D. J. Mowbray, J. S. G. Mýrdal, Y. Natanzon, A. Nistor, T. Olsen, H. Park, J. W. Pedersen, L. S. Pedroza, V. Petzold, C. Plaisance, J. A. Rasmussen, H. Ren, M. Rizzi, A. S. Ronco, C. Rostgaard, S. Saadi, L. A. Salguero, E. J. G. Santos, A. L. Schoenhalz, J. Shen, M. Smedemand, O. J. Stausholm-Møller, M. Stibius, M. Strange, H. Su, B. Temel, A. Toftelund, V. Tripkovic, M. Vanin, V. Viswanathan, A. Vojvodic, S. Wang, K. S. Thygesen, J. Rossmeisl, T. Bligaard, K. W. Jacobsen, J. K. Nørskov and T. Vegge. “DFT-Based Screening of Novel Alkali-Transition Metal Borohydrides—A Computational Materials Design Project.” Journal of Chemical Physics 131 (1): 014101 (2009). Journal of Porous Materials 16 (1): 91–99 (2009). *Hammond, K. D., F. Dogan, G. A. Tompsett, V. Agarwal, C. P. Grey, W. C. Conner, and S. M. Auerbach. “Spectroscopic Signatures of Nitrogen-Substituted Zeolites.” Journal of the American Chemical Society 130 (45): 14912–14913 (2008). *Hammond, K. D., M. Hong, G. A. Tompsett, S. M. Auerbach, J. L. Falconer, and W. C. Conner. “High-Resolution Physical Adsorption on Supported Borosilicate MFI Zeolite Membranes.” Journal of Membrane Science 325 (1) 413–419 (2008). *Hammond, K. D., G. A. Tompsett, S. M. Auerbach, and W. C. Conner. “Physical Adsorption Analysis of Intact Supported MFI Zeolite Membranes.” Langmuir 23 (16), 8371–8384 (2007). *Hammond, K. D., G. A. Tompsett, S. M. Auerbach, and W. C. Conner. “Apparatus for Measuring Physical Adsorption on Intact Supported Porous Membranes.” Journal of Porous Materials 14 (4), 409–416 (2007). *A. R. M. Iasir and K. D. Hammond. “Pseudopotential for Plane-Wave Density Functional Theory Studies of Metallic Uranium.” Physical Review B (submitted March 2019). *K. D. Hammond. “Parallel Point Defect Identification in Molecular Dynamics Simulations without Post-Processing: A Compute and Dump Style for LAMMPS.” Computer Physics Communications (submitted February 2018). L. Hu, A. Weerasinghe, K. D. Hammond, B. D. Wirth, and D. Maroudas. Materials Research Society Annual Fall Meeting, Boston, Massachusetts, November 29, 2018. Analysis of Helium Segregation on Surfaces of Tungsten at Different Levels of Helium Ion Irradiation. A. R. M. Iasir, N. J. Peters, and K. D. Hammond. Materials Research Society Annual Fall Meeting, Boston, Massachusetts, November 26, 2018. The Effective Thermal Conductivity of U-10Mo Fuels with Fission (Xenon and Krypton) Gas Bubbles Present. B. Laufer and K. D. Hammond. 60th Annual Meeting of the American Physical Society Division of Plasma Physics, Portland, Oregon, November 7, 2018. Simulation of the Effect of Hydrogen Repulsion on Clustering and Retention in Tungsten. K. D. Hammond, I. V. Naeger, W. Widanagamaachchi, L.-T. Lo, D. Maroudas, and B. D. Wirth. 60th Annual Meeting of the American Physical Society Division of Plasma Physics, Portland, Oregon, November 7, 2018. Flux Effects on Helium-Induced Surface Evolution in Tungsten. K. D. Hammond, I. V. Naeger, D. Ruff, S. Blondel, D. Maroudas, and B. D. Wirth. American Institute of Chemical Engineers Annual Meeting, Pittsburgh, Pennsylvania, October 30, 2018. Effects of Flux on Helium Bubble Growth in Plasma-Facing Materials. L. Hu, A. Weerasinghe, K. D. Hammond, and B. D. Wirth. American Institute of Chemical Engineers Annual Meeting, Pittsburgh, Pennsylvania, October 29, 2018. Analysis of Helium Segregation on Surfaces of Plasma-Exposed Tungsten. A. M. Mofrad, C. Peixoto, H. K. Hunt, and K. D. Hammond. American Institute of Chemical Engineers Annual Meeting, Pittsburgh, Pennsylvania, October 29, 2018. The Influence of Compositions and Defects on Vibrational and Optical Properties of Sodalite through Density Functional Theory. S. Blondel, D. E. Bernholdt, K. D. Hammond, A. Lasa, D. Maroudas, P. C. Roth, and B. D. Wirth. Computer Simulation of Radiation Effects in Solids (COSIRES), Shanghai, China, June 18, 2018. Xolotl: A Cluster Dynamics Code to Predict Gas Bubble Evolution in Solids. D. Dasgupta, K. D. Hammond, L. Hu, D. Maroudas, and B. D. Wirth. American Institute of Chemical Engineers (AIChE) Annual Meeting, Minneapolis, Minnesota, November 1, 2017. Modeling of Nano-Fuzz Formation in Helium-Ion-Irradiated Tungsten. K. D. Hammond, S. Blondel, L. Hu, D. Maroudas, and B. D. Wirth. American Institute of Chemical Engineers (AIChE) Annual Meeting, Minneapolis, Minnesota, November 1, 2017. Large-Scale Atomisic Simulations of Low-Energy Helium Implantation into Tungsten Single Crystals. C. Peixoto, A. M. Mofrad, J. Blumeyer, L. Jinrui, K. D. Hammond, and H. K. Hunt. American Institute of Chemical Engineers (AIChE) Annual Meeting, Minneapolis, Minnesota, October 31, 2017. The Infrared Spectra of Pure-Silica and Aluminosilicate Sodalite. W. C. Conner and K. D. Hammond. 25th North American Catalysis Society Meeting, Denver, Colorado, June 8, 2017. 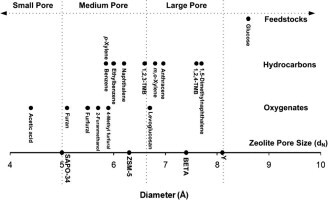 Analyses of Complex Pore Networks by Physisorption. Hammond, K. D. I. V. Naeger, L. Hu, S. Blondel, J. J. Billings, B. D. Wirth, D. Maroudas, and D. E. Bernholdt. AIChE Annual Meeting, San Francisco, California, November 16, 2016. Atomistic and Continuum Drift-Diffusion Simulations of Helium Transport in Tungsten. Hammond, K.D., F. Ferroni, and B. D. Wirth. AIChE Annual Meeting, San Francisco, California, November 16, 2016. Simulation of Helium Transport Near Prismatic Dislocation Loops in Tungsten. Hu, L., K. D. Hammond, B. D. Wirth, and D. Maroudas. AIChE Annual Meeting, San Francisco, California, November 15, 2016. Analysis of Mobile Helium Cluster Dynamics Near Surfaces and Grain Boundaries of Plasma-Exposed Tungsten. Blondel, S., D. E. Bernholdt, K. D. Hammond, L. Hu, D. Maroudas, and B. D. Wirth. Second International Workshop on Models and Data for Plasma–Material Interaction in Fusion Devices (MoD-PMI), Loughborough University, Loughborough, Leicestershire, United Kingdom, June 23, 2016. Near-Surface Helium Segregation in Tungsten with the Xolotl Plasma–Surface Interactions Simulator. K. D. Hammond, S. Blondel, F. Ferroni, L. Hu, M. A. Cusentino, F. Sefta, D. E. Bernholdt, J. J. Billings, D. Maroudas, and B. D. Wirth. “Multiscale Plasma–Material Interactions Simulation: Continuum-Scale Models Informed by “Computer Experiments” Using Large-Scale Molecular Dynamics.” Second International Workshop on Models and Data for Plasma–Material Interaction in Fusion Devices (MoD-PMI), Loughborough University, Loughborough, Leicestershire, United Kingdom, June 2016; invited talk. (invited by Duc Nguyen-Manh). Blondel, S., D. Maroudas, L. Hu, K. D. Hammond, and B. D. Wirth. “Scale-Bridging Modeling of Helium Segregation to Surfaces of Plasma-Exposed Tungsten.” The Minerals, Metals, and Materials Society (TMS) Annual Meeting, Nashville, Tennessee, February 2016. Maroudas, D., L. Hu, K. D. Hammond, and B. D. Wirth. “Analysis of Helium Segregation on Surfaces of Plasma-Exposed Tungsten.” 57th Annual Meeting of the American Physical Society Division of Plasma Physics, Savannah, Georgia, November 18, 2015. Hu, L., K. D. Hammond, B. D. Wirth, and D. Maroudas. “Analysis of Helium Cluster Dynamics Near Grain Boundaries of Plasma-Exposed Tungsten.” 57th Annual Meeting of the American Physical Society Division of Plasma Physics, Savannah, Georgia, November 18, 2015. Blondel, S., D. Maroudas, L. Hu, K. D. Hammond, and B. D. Wirth. “Cluster Dynamics Modeling of He Accumulation Kinetics in W Exposed to Low-Energy He Plasma.” 57th Annual Meeting of the American Physical Society Division of Plasma Physics, Savannah, Georgia, November 18, 2015. Hammond, K. D. “Inspired Characterization: Combining Modeling with Experiment to Study Solid Base Zeolite Catalysts.” American Institute of Chemical Engineers (AIChE) Annual Meeting, Salt Lake City, Utah, November 10, 2015. Conner, W. C. and K. D. Hammond. “All Surface Areas Are Not Comparable: BET Versus RLRS.” American Institute of Chemical Engineers (AIChE) Annual Meeting, Salt Lake City, Utah, November 10, 2015. Hammond, K. D., L. Hu, D. Maroudas, and B. D. Wirth. American Institute of Chemical Engineers (AIChE) Annual Meeting, Salt Lake City, Utah, November 9, 2015. Microsecond-Length Atomistic Simulations of Plasma-Facing Materials. Cluster Reactions Near Surfaces and Grain Boundaries of Plasma-Exposed Tungsten. Wirth, B. D., J. J. Billings, S. Blondel, T. Faney, K. D. Hammond, L. Hu, N. Juslin, S. Krasheninnikov, D. Maroudas, F. Sefta, and D. Xu, “Helium Gas Clustering Dynamics in Tungsten Exposed to Helium Plasmas,” University of Illinois, Urbana-Champaign, 18 November 2014. Hu, L., K. D. Hammond, B. D. Wirth, and D. Maroudas. American Institute of Chemical Engineers (AIChE) Annual Meeting, Atlanta, Georgia, November 16, 2014. Transport and Reactions of Mobile Helium Clusters Near Surfaces and Grain Boundaries of Plasma-Exposed Tungsten. Hammond, K. D., L. Hu, D. Maroudas, and B. D. Wirth. American Institute of Chemical Engineers (AIChE) Annual Meeting, Atlanta, Georgia, November 16, 2014. Large-Scale Simulation of Plasma-Facing Materials for Tokamaks and Linear Devices. Wirth, B. D., J. J. Billings, S. Blondel, M. A. Cusentino, K. D. Hammond, L. Hu, S. Krasheninnikov, D. Maroudas, D. Perez, L. Sandoval, B. P. Uberuaga, and D. Xu. ITPA DivSol Meeting, Prague, October 22, 2014. Evaluating Implantation Rate Effects on Helium Bubble Nucleation and Evolution Kinetics in Tungsten Exposed to Helium Plasmas. Wirth, B. D., J. J. Billings, S. Blondel, T. Faney, K. D. Hammond, L. Hu, N. Juslin, S. Krasheninnikov, D. Maroudas, F. Sefta, and D. Xu. Princeton Plasma Physics Laboratory, August 19, 2014. Helium Gas Clustering Dynamics in Tungsten Exposed to Helium Plasmas. Hammond, K. D. and B. D. Wirth. USA–Japan Workshop on Plasma–Facing Materials, Kyoto University, Kyoto, Japan, June 4, 2014. Modeling Tungsten Surface Evolution Due to Helium Plasma Exposure. Hammond, K. D. Department of Chemical Engineering, University of Missouri, Columbia, Missouri, February 25, 2014. Materials for Energy-Related Applications. Hammond, K. D. Department of Chemical Engineering, University of Tulsa, Tulsa, Oklahoma, February 21, 2014. Materials for Energy-Related Applications: From Porous Materials to Nuclear Fusion. Hammond, K. D. Department of Chemical and Biomolecular Engineering, University of Nebraska–Lincoln, Lincoln, Nebraska, January 27, 2014. Materials for Energy-Related Applications: From Porous Materials to Nuclear Fusion. Hammond, K. D. Department of Chemical and Biomolecular Engineering, Clarkson University, Potsdam, New York, January 21, 2014. Materials for Energy-Related Applications. Hammond, K. D., F. Sefta, T. Faney, N. Juslin, D. Xu, and B. D. Wirth. Lorentz Workshop, “Where No Material Dares to Go” (Leiden University), January 2014. Modeling of Tungsten Surface Evolution Due to Low-Energy Helium Plasma Exposure (invited). Hammond, K. D., L. Hu, D. Maroudas, and B. D. Wirth. Materials Research Society (MRS) Annual Fall Meeting, December 5, 2013. Evolution of Plasma-Exposed Tungsten Surfaces Due to Helium Diffusion and Bubble Growth. Hammond, K. D., L. Hu, D. Maroudas, and B. D. Wirth. American Physical Society Division of Plasma Physics Meeting, Denver, Colorado, November 13, 2013. Evolution of Plasma-Exposed Tungsten Surfaces Due to Helium Diffusion and Bubble Growth. L. Hu, K. D. Hammond, B. D. Wirth, and D. Maroudas. American Institute of Chemical Engineers (AIChE) Annual Meeting, San Francisco, California, November 7, 2013. Analysis of Drift and Diffusional Transport of Mobile Helium Clusters in Near-Surface Regions of Plasma-Exposed Tungsten. Hammond, K. D., L. Hu, D. Maroudas, and B. D. Wirth. American Institute of Chemical Engineers (AIChE) Annual Meeting, San Francisco, California, November 7, 2013. Evolution of Plasma-Exposed Tungsten Surfaces Due to Helium Diffusion and Bubble Growth. Hammond, K. D. Department of Chemical and Petroleum Engineering, University of Calgary, Calgary, Alberta, May 9, 2013. Materials for Energy-Related Applications: From Porous Materials to Nuclear Fusion. Hammond, K. D. Department of Chemical Engineering, Missouri University of Science and Technology, Rolla, Missouri, March 1, 2013. Materials for Energy-Related Applications: Characterization, Catalysis, and Simulation of Materials. Hammond, K. D., N. Camilli, H.-J. Lee-Voigt, L. A. Marus, and B. D. Wirth. Materials Research Society (MRS) Annual Fall Meeting, November 28, 2012. Off-Lattice Simulation of Nanoclustered Ferritic Alloys. Hammond, K. D., F. Sefta, and B. D. Wirth. American Institute of Chemical Engineers (AIChE) Annual Meeting, October 30, 2012. Plasma-Induced Evolution of Surfaces. Hammond, K. D., L. A. Marus, H.-J. Lee-Voigt, and B. D. Wirth. The Minerals, Metals, and Materials Society (TMS) Annual Meeting, Orlando, Florida, March 2012. Hybrid Monte Carlo–Molecular Dynamics of Nanometer-Scale Y–Ti–O Precipitates in BCC Iron. Hammond, K. D., F. Sefta, T. Faney, N. Juslin, and B. D. Wirth. USA–Japan Workshop on Plasma-Facing Components, Kyoto, Japan, August 2011. Atomistic Simulations of Sub-Surface Helium Bubble Evolution in Tungsten. Hammond, K. D., F. Sefta, N. Juslin, and B. D. Wirth. American Nuclear Society Annual Meeting: The Technology of Fusion Energy, Las Vegas, Nevada, November 2010. Tungsten Surface Evolution from Helium Plasma Interactions. Agarwal, V., G. W. Huber, W. C. Conner, and S. M. Auerbach. American Institute of Chemical Engineers (AIChE) Annual Meeting, Nashville, Tennessee, November 10, 2009 (given by K. D. Hammond for V. Agarwal). Modeling of Synthesis, Stability and Base Characteristics of Nitrogen-Substituted FAU and MFI. Hammond, K. D., G. A. Tompsett, K. R. Payer, L. Krogh, M. N. Pratt, D. Griffin, and W. C. Conner. American Institute of Chemical Engineers (AIChE) Annual Meeting, Nashville, Tennessee, November 9, 2009. Adsorption Hysteresis: An Inside Look. Tompsett, G. A., J. Jae, T. Carlson, K. D. Hammond, S. Auerbach, G. W. Huber, and W. C. Conner. American Institute of Chemical Engineers (AIChE) Annual Meeting, Nashville, Tennessee, November 10, 2009. Size Selectivity in Catalytic Fast Pyrolysis. Hammond, K. D., F. Dogan, M. Gharibeh, G. A. Tompsett, W. Shen, G. W. Huber, C. P. Grey, S. M. Auerbach, and W. C. Conner. American Institute of Chemical Engineers (AIChE) Annual Meeting, Nashville, Tennessee, November 9, 2009. The Search for Microporous, Strongly Basic Catalysts: Experiment and Theory in the Synthesis and Characterization of Nitrogen-Doped Zeolite Y.
Hammond, K. D., G. A. Tompsett, S. M. Auerbach, W. C. Conner, M. Hong, and J. L. Falconer. American Institute of Chemical Engineers (AIChE) Annual Meeting, November 2008. Adsorption on Intact Supported Zeolite Membranes: Comparison with Powdered Samples. Hammond, K. D., G. A. Tompsett, M. Gharibeh, V. Agarwal, W. C. Conner, and S. M. Auerbach. American Institute of Chemical Engineers (AIChE) Annual Meeting, Philadelphia, Pennsylvania, November 2008. The Spectroscopic Signature of Nitrogen-Substituted Zeolites. Hammond, K. D. and S. M. Auerbach. Connecticut Valley Quantum Chemistry Association meeting, Amherst, Massachusetts, November 14, 2008. Synthesis and Calculations on New Inorganic Materials: An Approach Combining Simulation with Experiment. Hammond, K. D., F. Dogan, G. A. Tompsett, V. Agarwal, C. P. Grey, W. C. Conner, and S. M. Auerbach. New England Catalysis Society Meeting, Amherst, Massachusetts, May 29, 2008. Spectroscopic Signatures of Basic Zeolites. Hammond, K. D., G. A. Tompsett, M. Gharibeh, V. Agarwal, T. Carlson, W. C. Conner, and S. M. Auerbach. New England Catalysis Society Meeting, Worcester, Massachusetts, April 19, 2008. Spectroscopic Signatures of Basic Zeolites. Hammond, K. D., G. A. Tompsett, S. M. Auerbach, and W. C. Conner. Northeast Corridor Zeolite Association Meeting, December 8, 2006. Adsorption on Intact Membranes and Its Implications for Structure and Transport in Zeolite Membranes. Published by the College of Engineering, Columbia, MO 65211 - engineering@missouri.edu - (573) 884-7004 | Updated: Apr 2, 2019.